Mark your calendars for the sixth annual "A Serving for Tennis!" As a non-profit organization, Tennis Memphis' mission is "to build a better community and enhance lives through tennis and education." Making tennis accessible, affordable and diverse are key priorities, as is ensuring everyone has the opportunity to play, regardless of their ability to pay or where they live. Tennis Memphis is one program at multiple tennis centers, located in South Memphis, East Memphis, Frayser, Raleigh, Whitehaven, and Hickory Hill. Furthermore, their outreach extends into community centers, parks, Shelby County Schools, and other non-profit partners.For all of this to be possible, Tennis Memphis hosts several fundraisers and campaigns during the year. Click here to learn how you can volunteer! 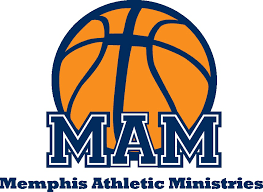 Founded in 1998, Memphis Athletic Ministries (MAM) exists to coach, grow, and lead the youth of Memphis by helping them discover their identity in Christ and their purpose in the community. MAM’s vision is to see identity found, hope restored, and lives changed. Girls Inc. inspires all girls to be strong, smart and brave. Click to GIVE to ensure girls will have the experiences and opportunities to thrive!